Finance Ministry officials struggled to get through a highly complex sexual harassment training course titled “What Is Sexual Harassment?” on Wednesday with many attendees falling victim to sleep. Takako Sugaya, a lawyer who was the lecturer during the training, urged the participants to have a sense of ownership to prevent sexual harassment, however most of the officials were only pretending to be awake. “There was a lot of snoozing, and a lot of head-tilting,” said Sugaya. 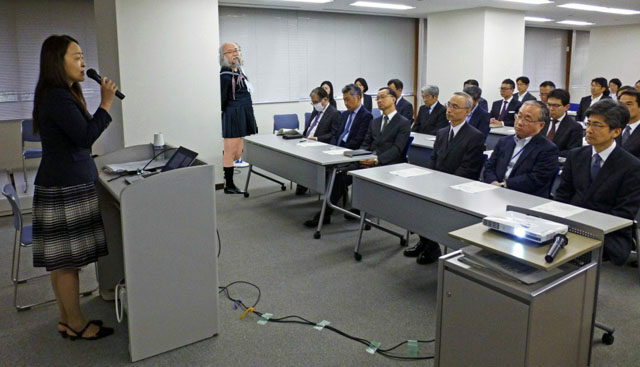 Guest speaker Sailor Suit Ojisan attempted to give officials an important practical lesson through role-play. “Senior officials were more involved in this section of the course with many asking if I could wear the sailor suit,” says Sugaya. Finance Ministry attendees celebrated the end of the course with a visit to a local hostess bar.